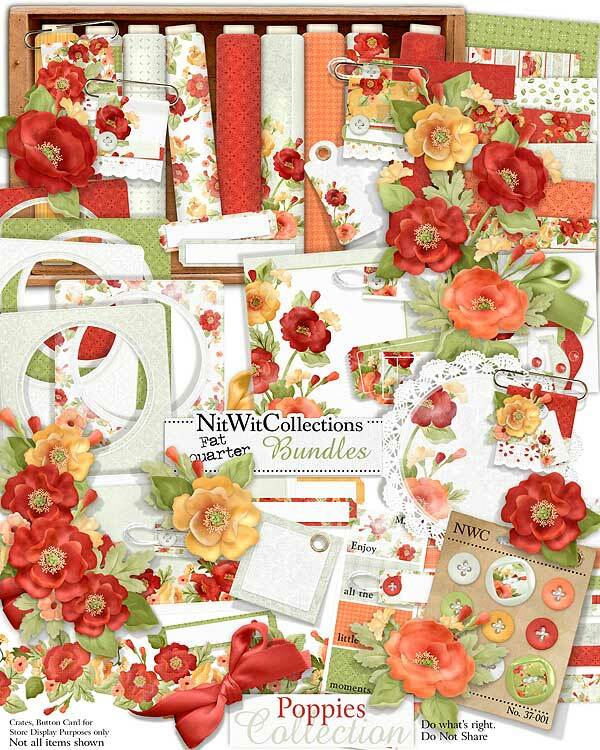 FQB "Poppies" Collection glows and blooms with beauty! The colours, textures and options of this kit are sure to delight your senses and inspire you to create gorgeous scrapbook layouts and cards. Take it all in and then let your imagination "grow"...the opportunties are endless! 1 Doily with poppies embellishing the side....beauty personified! 1 Journal card in a horizontal position...what do you see using this for?? 4 Paper tabs with paper clips attached to their tops.....a definite must use digital element! 4 Poppies in single flower options....be a floral arrngement artist with these beauties!